The cider mill was added to the farm in 1996. Our blend of ripe apples is slow pressed to create a fine apple cider that can be enjoyed either hot or cold. 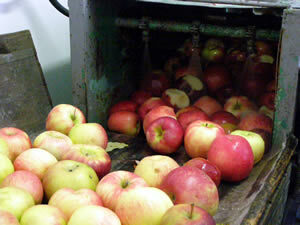 1-Variety of cider apples getting brushed and rinsed prior to grinding. 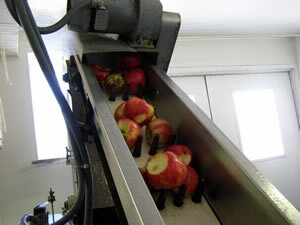 2-Trimmed and washed apples riding up the elevator before dropping into the grinder. 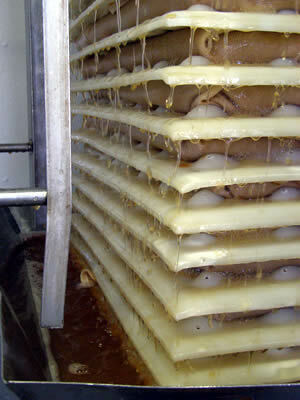 3-Ground apples being pumped into the racking cloth. 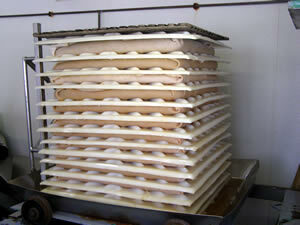 4-Completed rack prior to pressing. 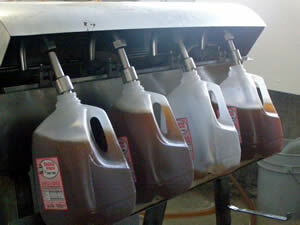 7-Filling jugs with finished Apple Cider! 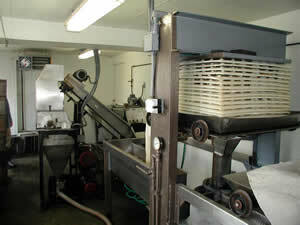 After all the juice is pressed out of the cloths, all that is left is damp pulp. 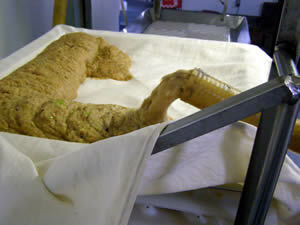 The pulp or pumice, is taken by a local farmer who feeds it to his cows. It is their favorite snack!